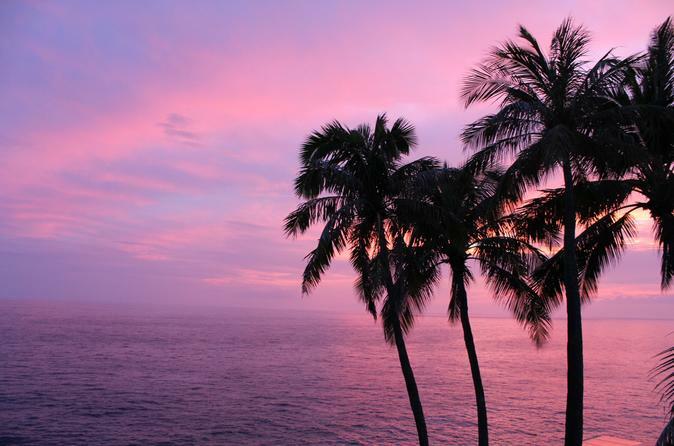 Enjoy an amazing tropical Hawaiian sunset cruise in Maunalua Bay. It is an unforgettable experience! Relax and take in the surrounding beauty of Oahu. Get out of the crowds of Waikiki and enjoy a new view. We will meet in Hawaii Kai and cruise into Maunalua Bay. Here we will enjoy the scenery of Koko Head, Diamond Head, and the backside of Hanauma Bay Ridge. The sun sets behind Diamond Head and you have 360 degree views of the bay, mountains and ocean! If we are lucky we might see a pod of spinner dolphins or some turtles coming up for air! Because we do not provide food you are welcome to pack yourself a picnic to enjoy on board! We will provide a cooler with ice for you, and waters. If you would like a promotional discount, google us, we are named Hawaii Yacht Rental. Don't forget your sunscreen!